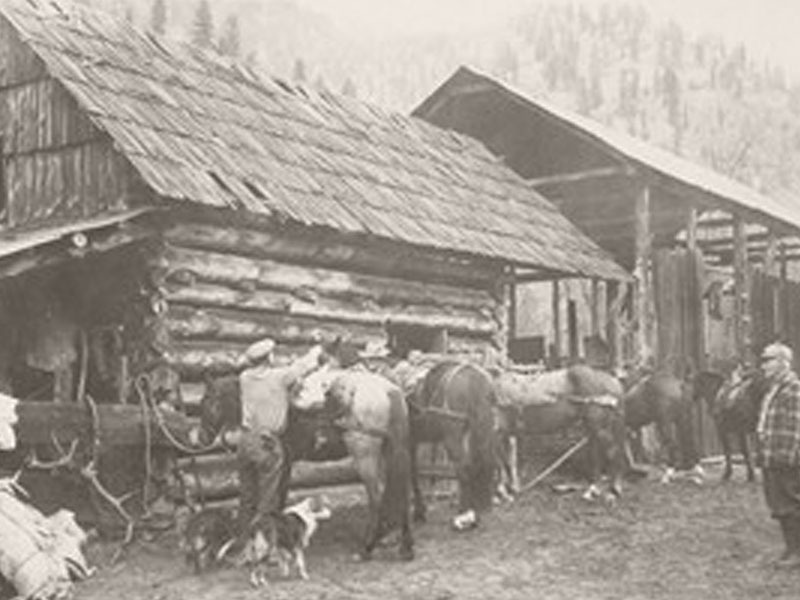 Charlie Shepp and Pete Klinkhammer began homesteading at the mouth of Crooked Creek during the winter of 1909-1910. 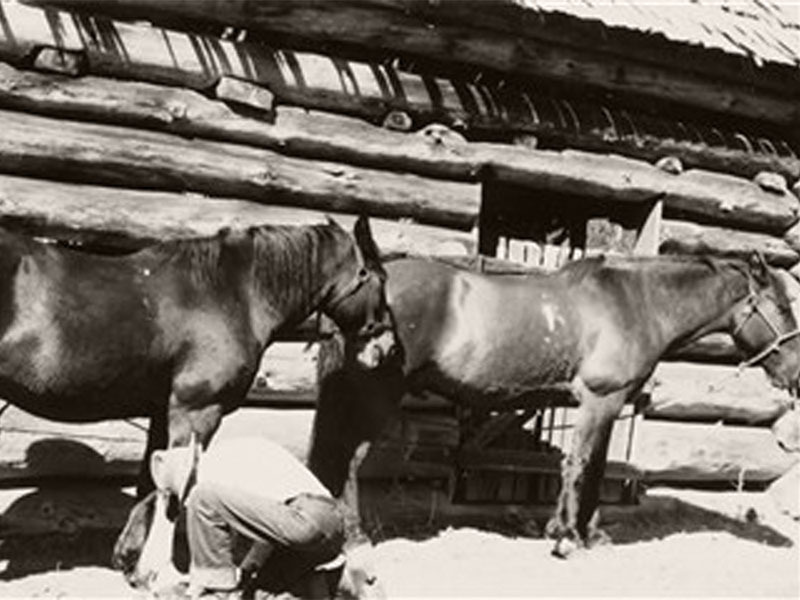 They whipsawed logs to build the main Ranch house, which is still in use today. The two men, although very different ages, were well suited partners. 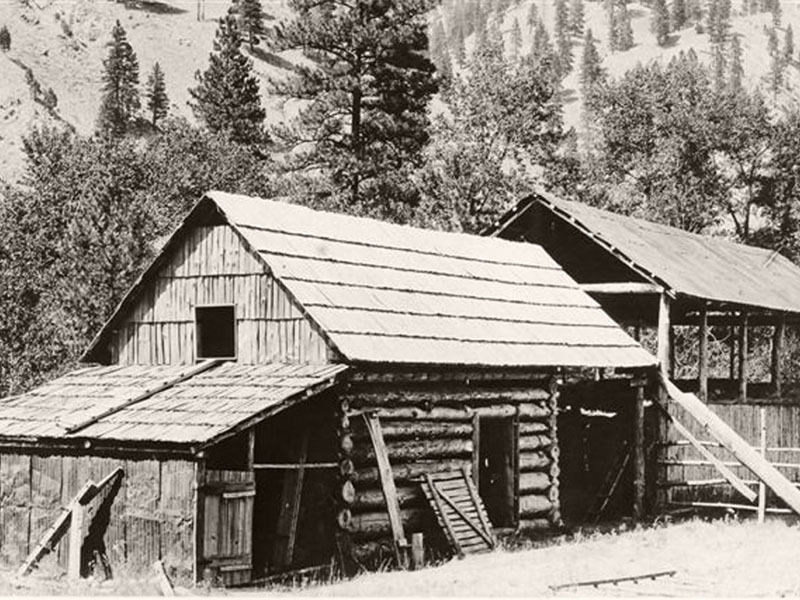 Shepp provided the building expertise and tended their extensive gardens and orchards, while Klinkhammer put up hay, ran trap lines, and packed their produce to sell to neighboring miners. 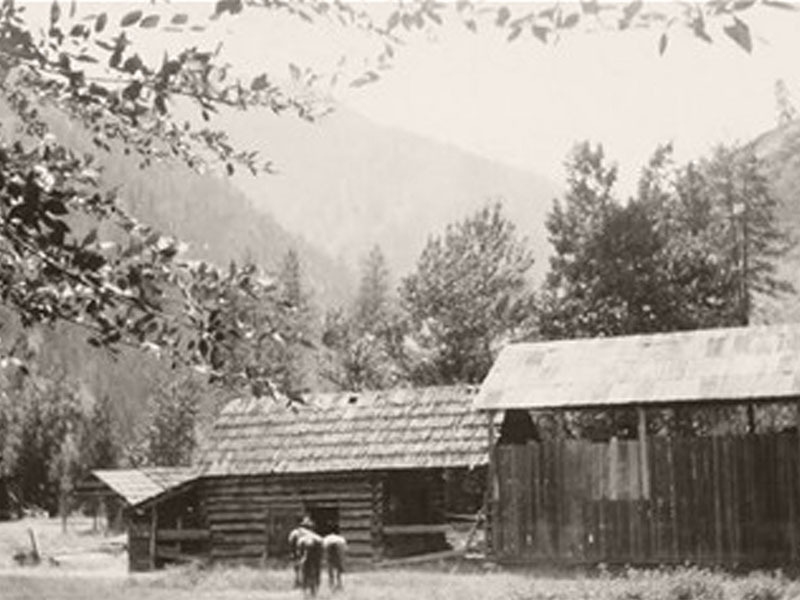 In 1950, Klinkhammer sold the Ranch to Paul and Marybelle Filer, but stayed on to help run the place. The Filers were energetic and determined. 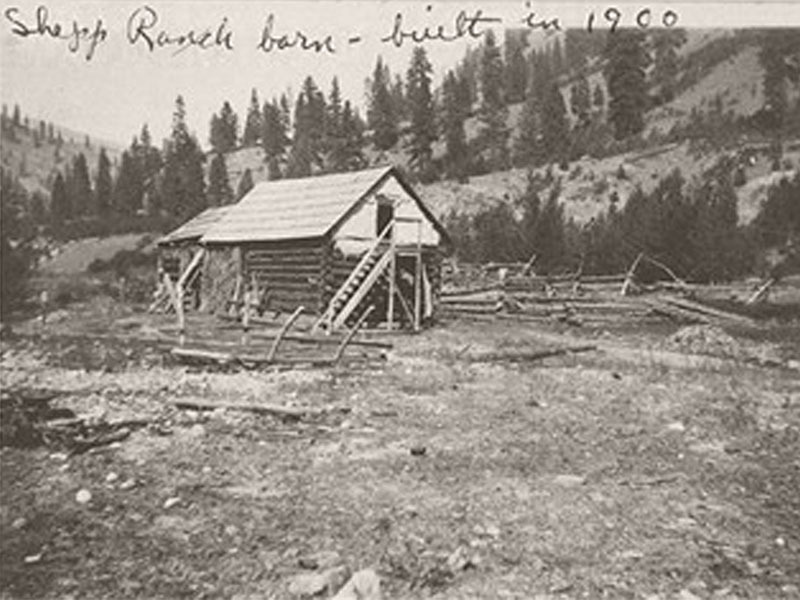 They constructed a sawmill, a flume and hydroelectric powerplant, and developed an airstrip on the west side of Crooked Creek. Paul and Marybelle Filer constructed most of the buildings in existence today and they also started a successful outfitting business that has been in continuous operation for over 50 years. Subsequent owners Jim Campbell, Paul Resnick, and now Tim and Madeleine Turnbull have carried on the Filers’ tradition. While things have changed over the years, guests can still share in the rich history and traditions which prevail in the Ranch’s buildings, orchard, rare hand tools, antique guns, and horse drawn farm implements. Shepp Ranch offers today’s visitors a wonderful opportunity to participate in this western tradition, just as in years past.